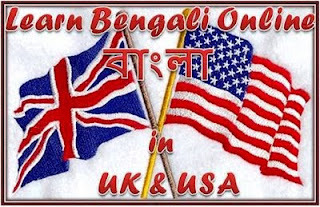 Do you want to learn Bengali?? These days I am getting more enquiries on Learning Bengali Online .Recently I got about 5 students ,all of whom are interested in Learning Bengali Language Online.I love to teach Bengali more than Hindi.Because it is more close to my heart and the sweet sound of the language. Mohona is a cute girl, she loves Indian culture.She learn Rabindra sangeet(Tagore song) from her grand mother.She also learns Indian Dance even in California,USA.Her little 5 years old sister,Pammi is also so sweet.Everyday after Mohona ,she comes for 5 mins and try to say something in Bengali.But she could say only few words in Bengali.I am happy that both kids really want to Learn the Bengali Language,otherwise it would be so hard for me to teach those small kids. Harsho,my old little student from New York ,has returned to USA again after their India trip .He is going to start his Bengali Online Classes again.Now I can say he is at intermediate level.And will improve a lot in a few months. I am so happy that I get the opportunity to Teach Bengali to these small kids and help them to be close to their own Culture ,when they are growing up in USA,Canada,Uk,London or some other place far from our country.